Chuan Xiong Si Wu Tang Wan (Four Sustances Pill) – 200 ct. Product Code: Chuan Xiong Si Wu Tang Wan (Four Sustances Pill) – 200 ct. 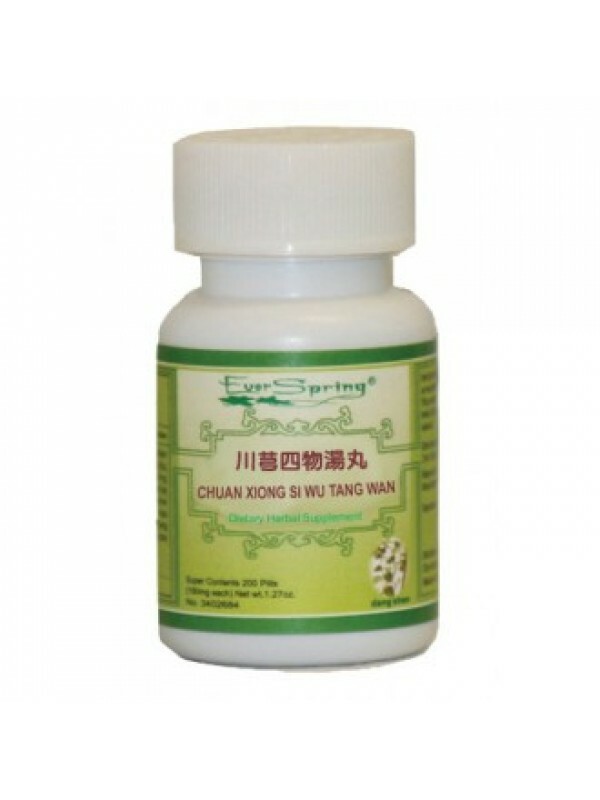 This traditional Chinese herbal formula enriches the blood and regulates the menstruation. It is used for treating impairment and deficiency of CHONG and REN channels, irregular menstruation, abdomen pain and pain around the navel, metrorrhagia and metrostaxis, blood mass with pain at time, threatened abortion during pregnancy, retention of vaginal discharge after childbirth, abdominal mass, muscular rigidity and pain of the lower abdomen, attacks of chills and fever at time. This product is not intended to diagnose, treat, cure or prevent any disease.